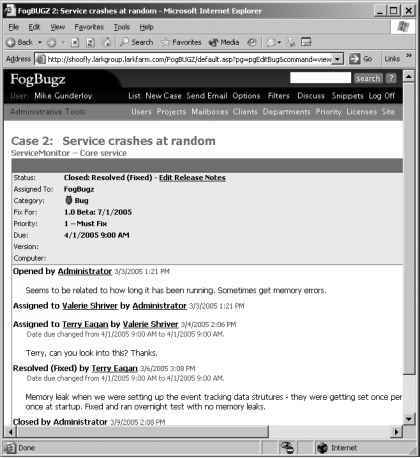 Figure 1-1 shows a typical case (it happens to be a bug) in FogBugz. 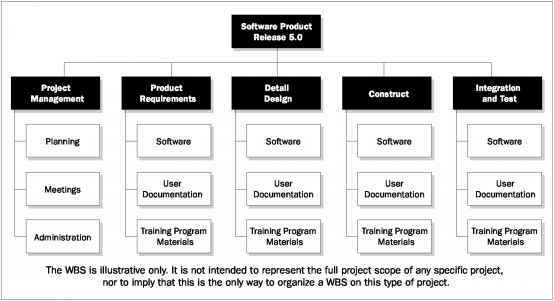 As you can see, each case is characterized by a variety of properties, including its priority, the release that needs to include the fix, and the history of work on the case. Cases can be entered manually by any licensed user of FogBugz. They can also be created in several other ways. For example, cases can be automatically created from e-mail received at a specific address, created by a site administrator based on a discussion group thread, or even automatically added to the database by special code in an application that you've already shipped. FogBugz lets users filter cases to find only the set they're interested in at the moment (for example, all open cases assigned to you that are due for the next release). You can use the FogBugz Web interface to adjust the properties of a case or assign an estimate to it. When you're done fixing a bug, implementing a feature, or handling an inquiry, you can mark it resolved. This automatically assigns the case back to its originator, who can close it (thus removing it from the list of active cases).